Bold but true: Lytro's light field technology is the most exciting thing to have happened to photography for as long as I can remember. Sure, in the past thirty years we've had digital taking over for film. First slowly, tentatively, then decisively. And now, in all but some very specialist fields, digital is objectively better than film in every way: More resolution, better in low light, better dynamic range, etc. Lens stabilisation has gotten better. Mirrorless cameras have had a huge impact in when people can be bothered to carry a camera around with them (I, myself, switched from Canon's 5D mk3 to Sony's A7 system over a year ago, and haven't looked back). Perhaps most importantly, with the cameras in mobile phones becoming fully usable cameras in their own rights, over a billion people are carrying cameras with them everywhere - and that's nothing short of a revolution. But the problem with all of these things is this: Everything to have happened in photography has been iterative, slow, and gradual, building on technology that already existed, to create cameras that are slightly better than the previous generation. I defy you to tell the difference between a photo taken with a Canon 550D or a Canon 600D, for example. Yes, the latter is slightly nicer, slightly better in low light, slightly... etc... but overall, you sort of have to skip many SLR camera generations before you get noticeable difference. I remember when their first little square-box camera was launched in 2011 - the same year I launched the Triggertrap v1 - I was gobsmacked. 'This,' I remember thinking, 'Is going to change everything.' And then, to overwhelming, deafening nothingness, it sort of... didn't. I think there were a few things Lytro got wrong off the bat - the biggest problem was that the price point didn't match the design. The camera looked like a toy; a fancy action camera, perhaps, but a toy nonetheless. I frequently played with it at trade shows. I hovered over the 'buy now' button many a time, but always found myself not pushing; I really couldn't see where it would fit into my photographic life. I don't think I was the only person who thought that - I go to a lot of photography events, photo walks, trade shows, and the like, and I've never seen a Lytro Camera in the wild. I did see one in a pub in Cologne during Photokina once, but it was in the hands of a Lytro employee, so I think perhaps that doesn't count. Of course, I have no visibility on the Lytro Camera's sales figures, but I would be surprised if the sales matched up with their expectations - somehow, the company failed to capture the hearts and minds of the photographers they were trying to serve. At the time, I was up to my neck in Triggertrap, and I think the ultimate deciding factor for me not to buy a Lytro camera was that it didn't have a remote control port built in, so it wouldn't be compatible with our products. I do remember lobbying Lytro for introducing a remote control port on the camera, and eventually someone within the company told me: 'Keep an eye out for our next product, I think you'll like it.' I'm not going to pretend that Triggertrap was the sole reason that they ended up including a remote control port, but they did pick the 2.5mm socket we were pushing for, which I'm rather happy with. The second generation Light Field camera - the Lytro Illum - launched as a real photography tool for real photographers, with a grown-up photographers' price tag of $1,699. The specs were more like what you'd expect from a high end bridge camera - ok resolution (output files 4 mpx); good touch screen with articulation; decent 8× zoom range, and a fresh, stealth fighter looking design language. Considering the price tag, it definitely isn't a frivolous purchase for most photographers; not like, say, buying a $125 waterproof camera to 'have a go' at taking photos on your snorkelling holiday in Hawaii. The Illum also has a second problem: with a waterproof camera, most photographers can conceptually understand what it's for: you use it in the rain, in the swimming pool, or when scuba diving perhaps. The $125 price tag goes a long way to manage expectations: you're not going to capture WetPixel-worthy photos with it, but you do get to dabble in a new photography genre for a bit. It seems churlish, perhaps, to praise the Illum's tech for being the first true innovation in cameras for decades on the one hand, and then whine about the price on the other, but I think the price is part of the reason for why you don't see more of them about. To Lytro's credit, I've seen two Illum cameras in the wild (an infinite percentage more than I saw the original! ), but for comparison, I have seen more Leica S2s, Hasselblad H4d, and Pentax 645Ds in the wild than that. The key, again, is that people would immediately think 'show-off' when seeing some genuine camera exotica out there, but they'd also be able to understand why a photographer chose that particular camera to capture a particular scene. The parallel to draw here is that nobody has a Hassy H4d as their only camera - it's too limited for that. However, it is undoubtedly the best choice for certain types of photography (say, landscapes or product photography or portraiture for advertising billboards). And so, Hasselblad owners are extremely likely to be multi-camera owners. What Lytro is missing is for people to be able to finish the phrase 'oh, my Lytro camera? I use that for my X photography.' Beyond the extremely exciting tech and the gimmick factor of being able to refocus a photo after the fact - what would you use it for? My very first book was about macro photography. It's now woefully out of date; when I wrote it in 2006, live view was practically useless, but today, I wouldn't dream of shooting macro without it - not least because my Sony A7 doesn't have any other option; a situation that was completely unthinkable just eight years ago. I think macro is one of the opportunities for Lytro to shine - there's a lot of photographic endeavours where limited DOF is a real challenge, and that's something plenoptic cameras solve rather elegantly; at least in situations where a 4 megapixel image is sufficient. 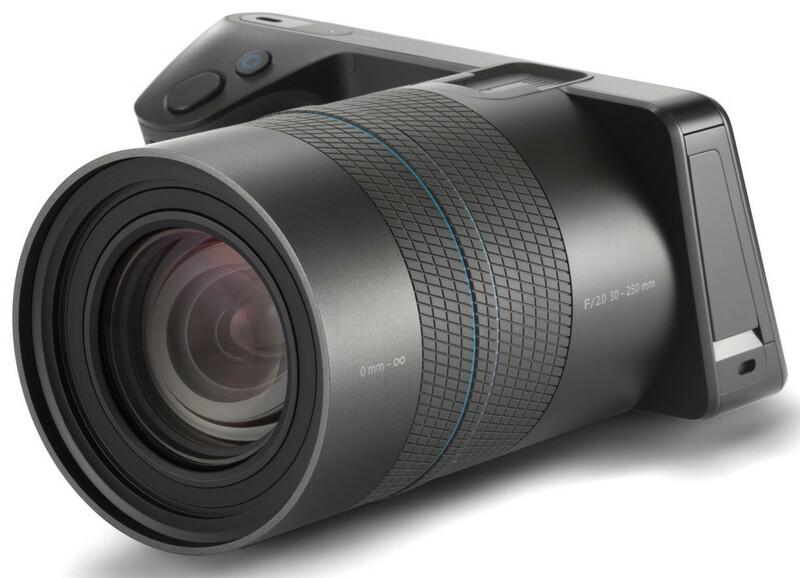 Macro photography, medical images, scientific photography, one-shot stereography for instant 3D scanning - it's easy to imagine lots of applications for Lytro's products. And yet, whenever I pop along to their stand at trade shows, the flagship photos they keep wheeling out is stuff like a golfer hitting a golf ball, and being able to refocus between the ball and the golfer. Yes, it's fun, and it illustrates what plenoptic photography does, but to a lot of the photographers I've spoken to, this mostly serves to amplify how gimmicky refocusing is, and fails to explain how this tech is useful and applicable to the 99% of photographers who don't have infinite resources: The kind of photographer who thinks 'with the $1600 I've saved up, do I buy a light field camera, or that lens I've been lusting after?' In the real world, the lens wins. Every time. Maybe it's the startup brain I have as a result of running Triggertrap for so long, but part of me thinks that Lytro is facing more of a marketing challenge than a product challenge: the Illum is objectively a good camera, but in order to get a photographer to part with a significant chunk of cash, the photographer would at least need to be able to answer the 'what is it for' question. The problem is this: When you hit the Lytro homepage, you're hit with marketing-polished technobabble - how it works, zoom ranges, and mega rays. It's easy to see why a company that is doing revolutionary new tech is tempted to shout about the technology they're famous for, but that's a mistake: photographers care not one iota about tech. Not really. Not when it comes down to making an emotionally driven buying decision. Photographers care about the end result. Let me put it differently: You don't sell drones to photographers by droning on about stabilisers and electric motors and by showing photos of rotors and controllers. That's how you sell to engineers and scientists and 15 year old geeks. You sell drones to photographers by showing off awesome aerial imagery, by instilling a sense of aspiration, inspiration, and a desire to create amazing images. Similarly, you sell plenoptic cameras not by showing photos of the camera, but by showing off what you can create with it. The more limited the depth of field, the more the Lytro thrives. I think the above video will sell more Illum cameras than the current Lytro home page. I do think Lytro's challenge goes beyond marketing, however: creating photographic equipment is about setting expectations to a degree. I've already discussed why the original camera felt like a toy; but the Illum, too, is facing a challenge: it looks and feels like a heavy superzoom camera. The question is whether by picking one up, a photographer automatically makes assumption that the Illum is for the same type of photography that you'd use a superzoom for. I believe that may be the case, and if I'm right, most photographers wouldn't give it a chance for macro photography (which superzooms tend to be notoriously mediocre at), studio portraiture (ditto), and as a hobby photography equipment builder, it wouldn't occur to me to use Illum as the camera for specialised photography rigs for photographing retina for an ophthalmologist - although doing so would revolutionise that (admittedly spectacularly niche) photography genre. I'll be honest: I would like nothing more than to spend a day at Lytro's labs to talk to their engineers, marketeers, and product people to understand what their plans are. There's little doubt in my mind that the future of photography will come out of the Lytro lab, if only they can figure out what their product is for, who their target market is, and if they can create a product and marketing duet that sings in perfect harmony. Older PostWhat do we mean by exposure compensation?